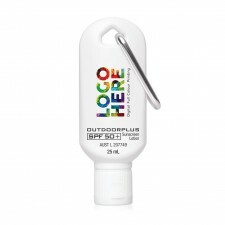 Promotional Sunscreen sends all of the right messages to your customers, and with a huge choice of packaging solutions your logo will look absolutely fabulous sending your message! 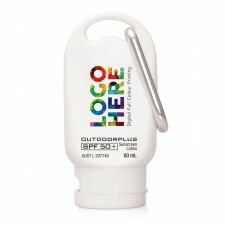 Our high quality Australian Made, OUTDOORplus sunscreen is available in both SPF30+ and the new SPF50+ and our logo can be printed directly onto the brilliant white sunscreen tube/tottle. The lightly fragranced, non greasy formula contains Vitamin E and provides very high protection from both UVA and UVB rays and their skin damaging effects. Globalcatalogue is the number one supplier of sunscreen to the promotional market; don't trust your client's brand with anything less.